But the stress is not on the youngsters, it’s the parents who suffer. He likes only chicken nuggets and bananas. She will eat just mac and cheese from a box, and the only thing worth drinking is juice in a pouch. But we’re Florida. We have all kinds of foods to pique young interest. All it takes is one favorite to start to stretch the palate. Start with color. Tiny red tomatoes are finger foods that look like candy. Try them very cold on a hot day or slightly warmed on a cold one. Broccoli flowerets look like flowers. So do small pieces of cauliflower. Make a garden with the tomatoes and “flowers” on bases of chicken nuggets. Tykes may eat the bases after the flowers are gone. When you do add something new to the plate, do it with just one or two pieces and don’t make a fuss if it doesn’t disappear. Do make a fuss about how good yours is, though. Kids like rice in much of the world. If yours don’t, you can jazz it up with Florida orange juice instead of some of the water. Mix leftover orange rice with sugar, milk and eggs for easy rice pudding. Stud it with blueberries when they are in season. Add blueberries to oatmeal, too. Though, obviously, I grew out of it later, I was a picky eater. No white milk. Not much green stuff. One of Dad’s tricks was to make “igloos” out of mashed potatoes. He would sink a pat of butter in the center and cover it. I had to eat my way down to make the butter flow out. Decorate and stuff your igloos with carrots and broccoli. Corn works too. Colored peppers are meals just waiting to be eaten. A slice of red, green, and yellow make a stoplight you can fill with corn or carrots or squash. Or chicken nuggets. Kids might be more inclined to eat their veggies if they have a choice. “Would you rather have carrots, green beans, or asparagus for dinner?” The answer might surprise you. Florida head lettuce becomes cups to fill with whatever you would like the kids to try. 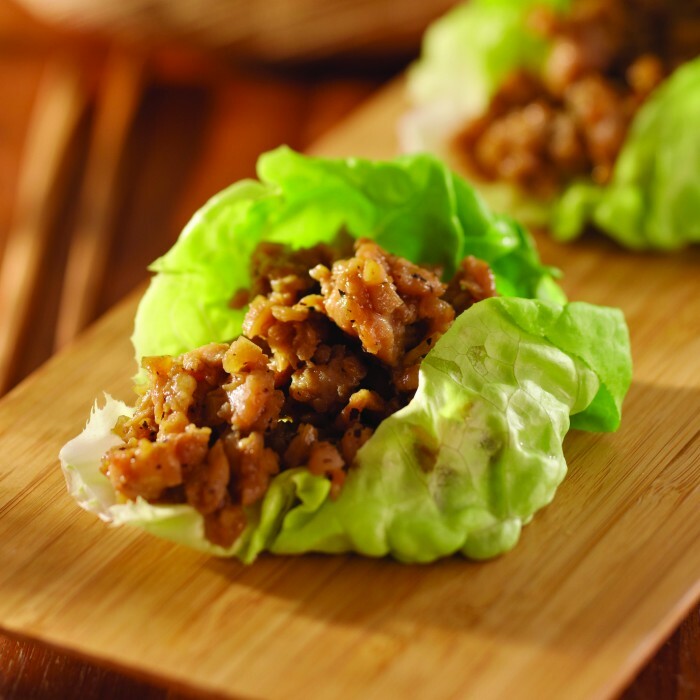 Stir fry bean sprouts with just about anything you have—meat and vegetables—add a dab of hoisin sauce from the Oriental section of the market, and roll the lettuce cups like a burrito. Zucchini makes great “boats” to hollow out and fill with meatloaf mixture and bake. So do peppers and eggplant. Do some small ones that won’t overwhelm the youngsters. Make the meat mixture with a favorite spaghetti sauce and top the boat with more sauce. You can sneak some grated zucchini into Sloppy Joes and the kids won’t even know it’s there. Florida strawberries are winners, even when they come from the freezer. Try stud muffins (I never thought I could get that in a food piece) with bits of berries. Do the same with pancakes. Make thin pancakes or crepes and use berries, cottage cheese, and yogurt as a filling, with chocolate sauce on top. You might even come up with a couple of ways to enjoy fruits and vegetables you didn’t like.